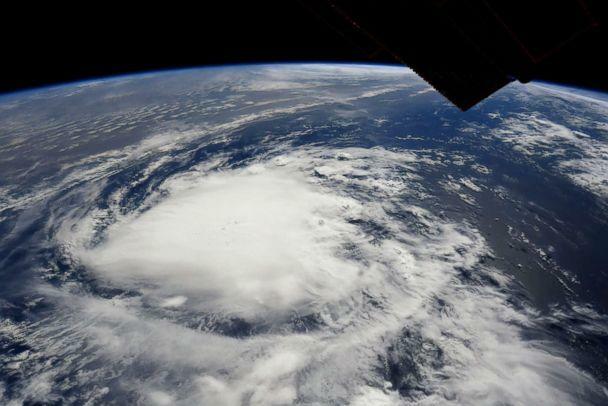 Hurricane Florence, packing winds of 140 mph, has quickly strengthened to a dangerous and powerful Category 4 storm as it takes aim at the East Coast. 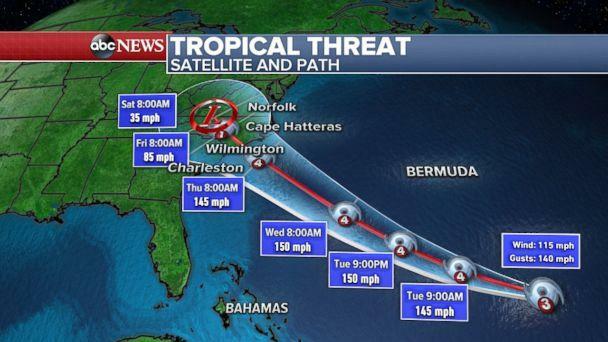 The storm will likely make landfall Thursday evening in North Carolina. 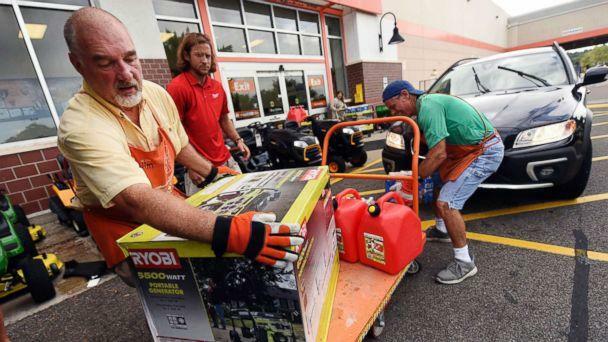 Bringing a devastating storm surge, powerful winds and catastrophic flooding, governors in South Carolina, North Carolina, Virginia and Maryland are urging residents to prepare. 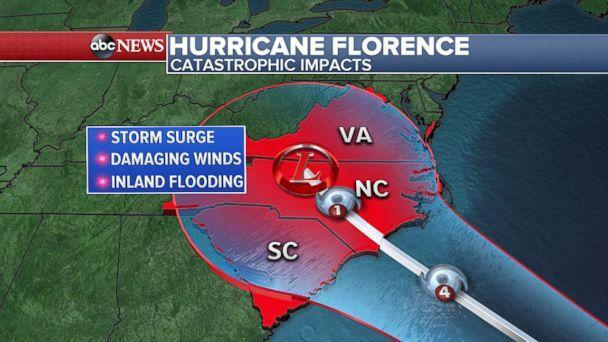 About 1 million people have been ordered to flee the entire South Carolina coast beginning at noon on Tuesday. "It's going to be inconvenience but we don't want to risk one South Carolina life in this hurricane," South Carolina Gov. Henry McMaster said Monday. Because Florence is expected to stall after landfall, the rain is forecast to hit the same area for a long period of time. 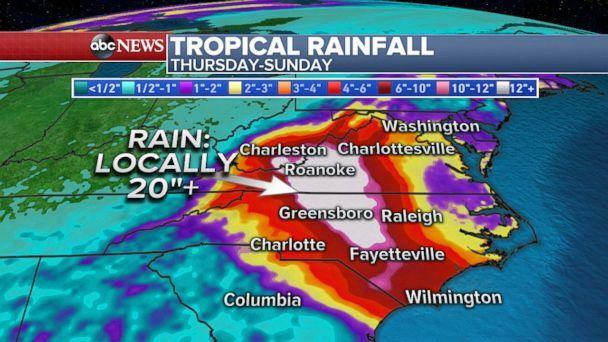 Rain totals may climb over 20 inches in parts of inland North Carolina and Virginia. 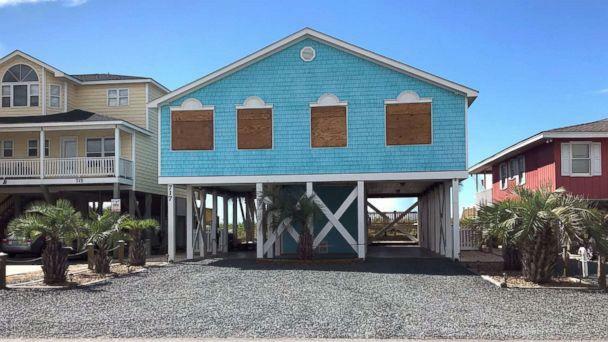 "We here in North Carolina are bracing for a hard hit," North Carolina Gov. Ray Cooper said at a news conference Monday. The state has issued mandatory evacuations. "This storm is strong and it's getting stronger," Cooper said. The state is "taking Hurricane Florence seriously and you should too. Get ready now," he said. "The best safety plan is preparation and common sense." An evacuation order for visitors and residents on Hatteras Island is in effect Monday while those in other parts of Dare County will be under an evacuation order beginning Tuesday. In Maryland, Gov. Larry Hogan is urging residents to be prepared for "possible catastrophic and life threatening flooding." "Start now, and prepare your families and your homes," he said Monday. President Donald Trump exhorted residents to follow officials' instructions. "The Storms in the Atlantic are very dangerous. We encourage anyone in the path of these storms to prepare themselves and to heed the warnings of State and Local officials," he said in a tweet. "The Federal Government is closely monitoring and ready to assist. We are with you!" Florence is just one of several storms brewing. Hurricane Helene is a Category 2 storm but is expected to go out to sea with no threat to land. Isaac is forecast to stay south of Puerto Rico but may bring some rain to the island. In the eastern Pacific Ocean, forecasters are keeping a close watch on Tropical Storm Paul and Tropical Storm Olivia. Paul is not expected to make landfall but Olivia could threaten Hawaii. Olivia, which weakened to a tropical storm Monday afternoon, will approach Hawaii Tuesday night into Wednesday. The storm may bring landslides, up to 20 inches of rain and flash flooding for the Hawaiian Islands. ABC News' Josh Hoyos, Jason Volack, Amanda Maile and Chris Donato contributed to this report.